Manufacturer of a wide range of products which include plastic injection moulding machine 460 ton. We are the leading manufacturer of an excellent quality range of Plastic Injection Moulding Machine 460 Ton. 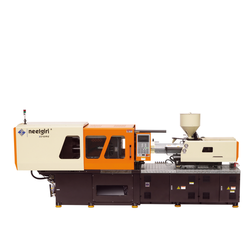 This machine finds its best usage to give patterns to different types of plastic injection. Our provided machine is well-manufactured under the supervision of our highly qualified specialists using the qualitative grade components and the latest technology. Looking for Servo Injection Moulding Machines ?